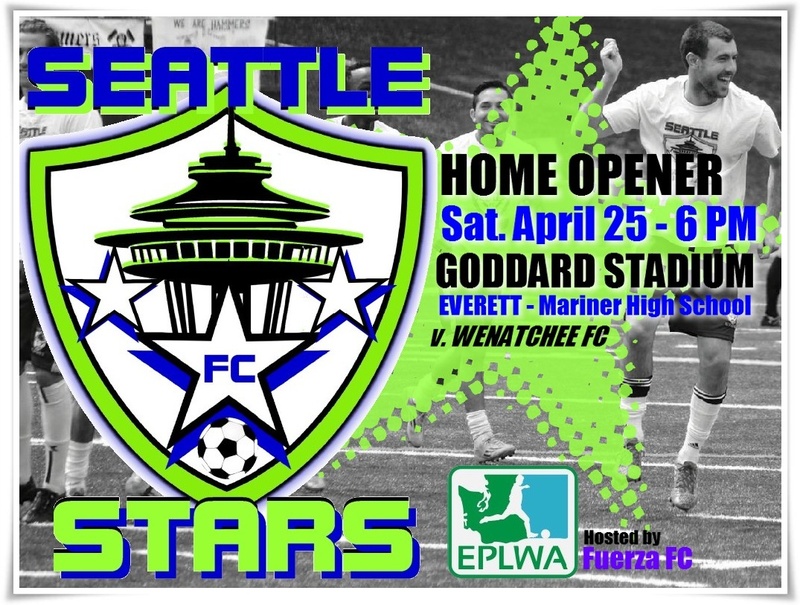 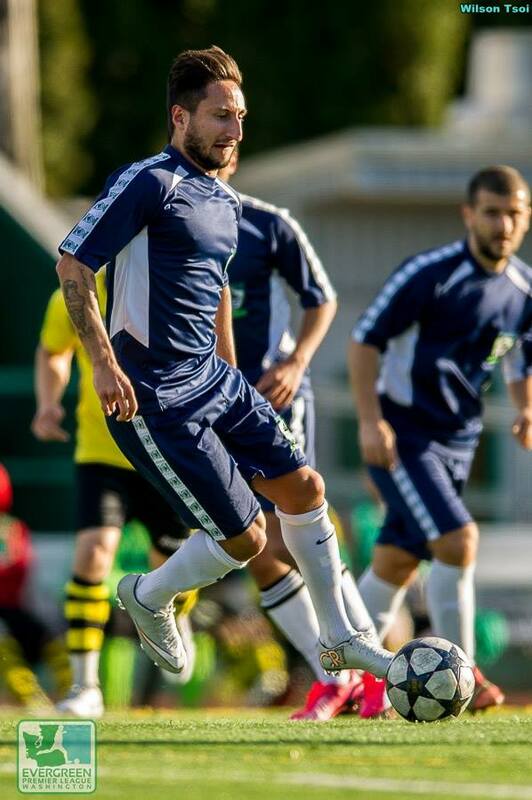 EVERETT, WA—Seattle Stars FC got two first-half goals on Saturday night at Goddard Stadium and held on to edge Wenatchee FC 2-1 in the first match on the 2015 Evergreen Premier League Schedule. 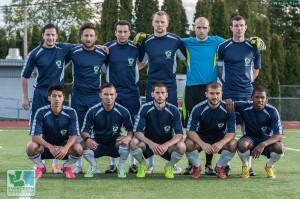 Wenatchee FC had earlier control of the match in the Seattle end with consecutive corner kicks. The first featured a header that Seattle goalkeeper Scott Barnum tipped over the crossbar. After that though the Stars dominated the half. In the 10th minute Cornelius Ieremie became the first goal-scorer of 2015 when he put the Stars up 1-0. 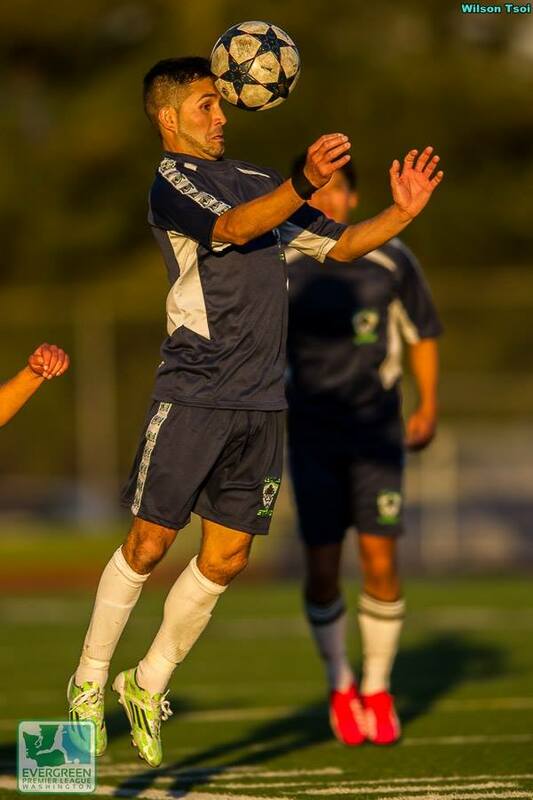 It was 2-0 Seattle 15 minutes later when Ieremie directed the ball towards goal and Peiman Alessandro finished the job for the score. 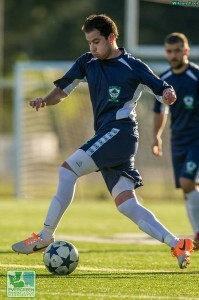 In the second half the Capitals eased into the match. 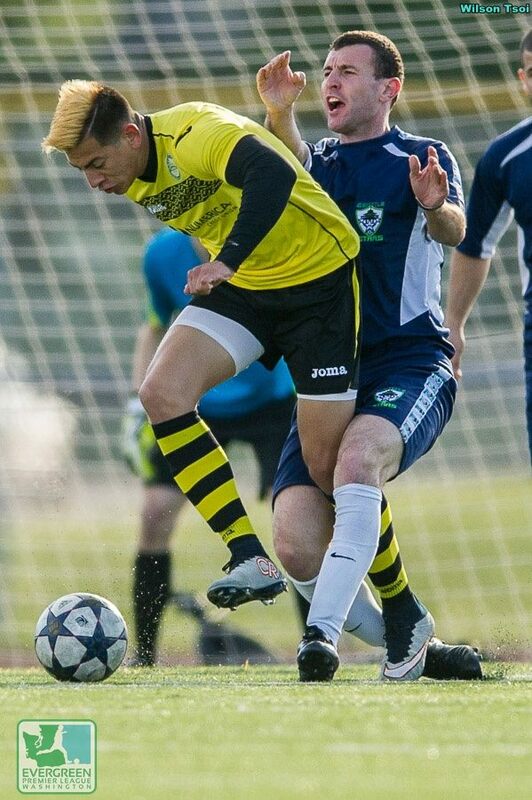 Their possession increased, and finally in the 65th minute they were given new hope when Josh Alvarez headed home a goal that started out of a Wenatchee throw-in (assist) from Fabian Alvarez. 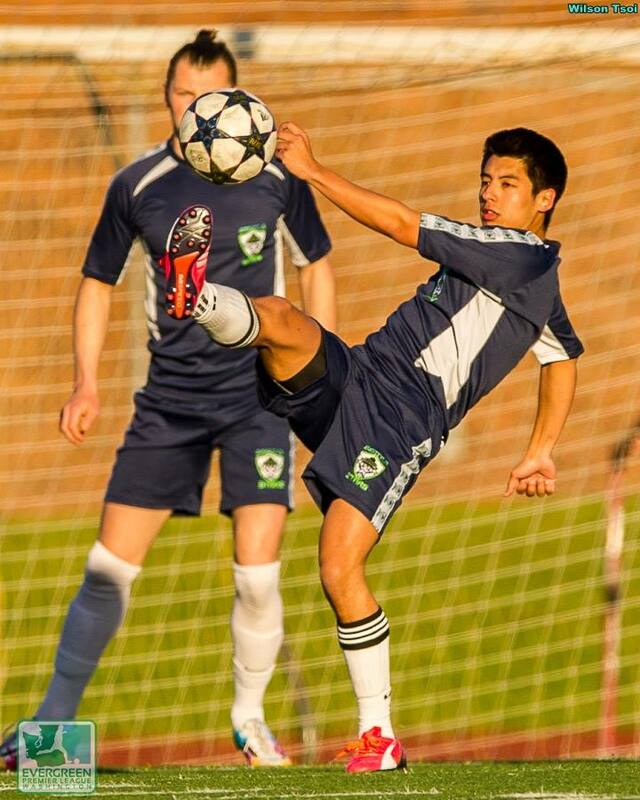 Chances were exchanged the rest of the way, but the Stars kept the Capitals out to claim the 2-1 win. 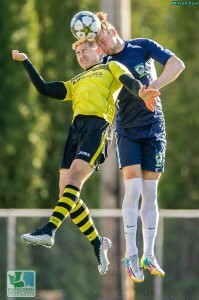 It is Seattle’s third straight win over Wenatchee. 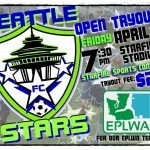 Last year as the EPLWA was launched Seattle topped the Capitals 5-1 and 2-1. 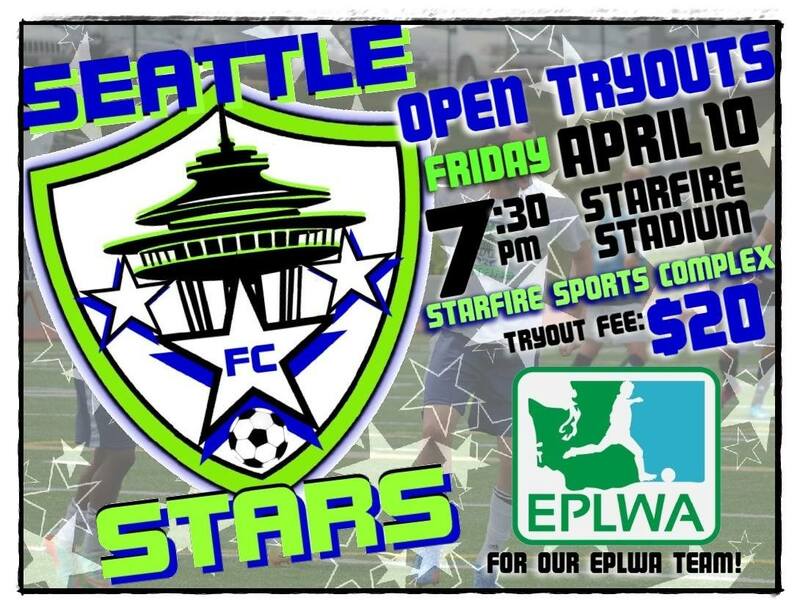 Next week Wenatchee comes home to celebrate the Apple Blossom Festival and then host the defending champion Spokane Shadow Sunday May 3 at 6 PM at Wenatchee Valley Community College. 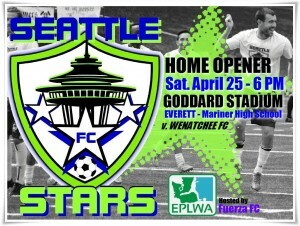 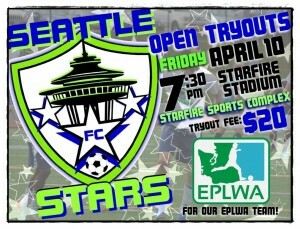 The Stars are home against South Sound FC on Sunday May 3 at 5:30 PM. 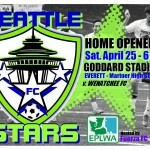 The match will be played at Starfire Sports Complex in Tukwila. 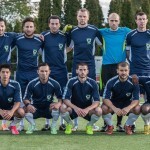 The inaugural match also featured the first-ever audio play-by-play broadcast sponsored by the league. Brandon Sparks called the action. 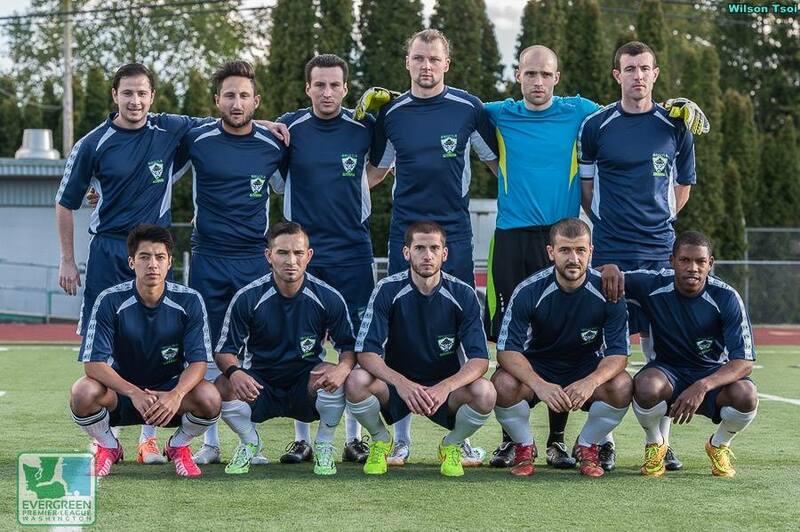 You can listen to a full-match replay below.